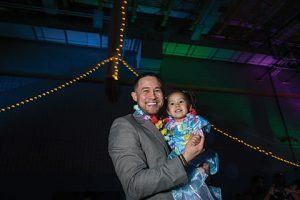 Time to dust off those platform shoes and polyester pants and gear up for the Disco themed Father Daughter Dance. “Do the Hustle,” the Bump, the Funky Chicken, even the Bus Stop! Fathers and daughters of all ages are welcome! Need not dress in Disco attire, but it is fun and encouraged. Ticket price includes dance, finger food, refreshments and a professional photo of you and your princess. Tickets can be purchased at the Greeley Recreation Center or at the Family FunPlex. Phone-in purchases available at 970-350-9400. Sponsored in part by Mariposa Plants, Flowers and Gifts, Balloon Art by Merry Makers, Music Man DJ, Dana Orthodontics, Weld Waits, The Tribune, Tri-102.5 and K99.